Posted September 23, 2018 by Patrick Sproull & filed under Episodes, Headlines, Reviews. After keeping the nation on its toes for weeks, the BBC’s Bodyguard bowed out tonight but did it end on a high note? If Max Headroom wanted to make a return to the airwaves, tonight’s broadcast of the Bodyguard would have been the perfect broadcast to hijack. With its audacious storytelling, Liam Neeson levels of action and excruciating tension, it has captivated all but a few curmudgeonly zeitgeist-surfing think piece writers. The question on everyone’s lips – is Julia Montague alive? – was finally answered and it puts a lot into perspective. Jed Mercurio and Keeley Hawes’ online ribbing of viewers must have been a lot of fun for them and it’s hard not to feel like a bit of a mug for not trusting Mercurio’s bold creative decision in killing Julia off. Knowing that there’s no chance of the Home Secretary coming back from the dead, we can look back on Bodyguard’s first and probably not last series as an example of the kind of terrific screenwriting we deserve more of. Janet Leigh your star in episode three, writers! Take note. And with this finale, after what has felt like the best part of a year, Jed Mercurio answered the majority of our lingering questions and we finally got some closure on Julia Montague’s assassination. It’s probably worth getting it out of the way but there was something both a little too neat and a little anticlimactic here. That’s not to say this wasn’t a great finale; it was tense, enjoyable and it gave us a resolution that made sense but because of the way Bodyguard has captured the nation’s imagination, nothing was ever going to measure up. But that’s absolutely fine because we got an unpredictable ending – perhaps a few twists less than expected – and Richard Madden’s David Budd finally got some professional help. Above all, we were entertained. Bodyguard wasn’t a series centred around a killer finale, which could probably count as a twist in and of itself. Jed Mercurio gave us an ending that satisfied but nothing could ever beat the thrill of wondering whether Julia Montague was actually alive. That being sad, there was oodles to enjoy here. It was nice for the series to go back its action-packed roots, with the majority of the finale’s jumbo 75 minutes giving us yet another person in a suicide vest that may or may not go off. It was deliciously fraught and though there was no fear David was going to get blown to kingdom come, that didn’t stop Mercurio from wringing out some terrifically tense moments. I don’t think I’m going out on a limb in saying seeing Richard Longcross get pepper sprayed in the eyes was a glorious piece of schadenfreude. Beyond David getting justice for Julia, beyond him getting help, it was just an immensely satisfying joy to watch the unfailingly evil Longcross get a temporary comeuppance. The suicide vest sequence in the park also felt like Jed Mercurio playing the audience. It was our last chance to guess who the inside man was and it’s safe to say he made a convincing case for everyone. There was DS Rayburn who seemed like she was actually trying to help – or was she? – and then Lorraine Craddock and Anne Sampson’s suspiciously quick dismissal of David, and then there was Vicky actually doing something for the first time this series. It made your head spin trying to figure out everyone’s motivations. When the big reveal came – that it was Lorraine and Luke Aitkens trying to protect his organised crime dealings from government overreach – it was a relief to finally figure out what was going on even if it felt a little neat. That the government conspiracy involving Stephen Hunter-Dunn, Roger Penhaligon, Mike Travis et al. was mostly unconnected to Julia’s murder was a bit disappointing – I was fully expecting some kind of terrorist network and decades in the making scheme. But you can’t criticise Bodyguard for something that it isn’t, and it was pleasing to have a resolution that actually made sense. The double sucker-punch that Nadia was playing the police force and was actually a terrorist mastermind was a great stinger and wrapped everything up tidily. All our questions were answered, and you can’t say Jed Mercurio didn’t do his job thoroughly. David finally getting help probably tied with Longcross getting double-crossed as the series’ most satisfying moment. It was played almost as a punchline: that after everything he’s been through, the one thing he needs most is a cup of tea and a sit-down with a therapist (perhaps the rumoured series two can follow Budd’s therapy sessions?). David even got Vicky back because nothing reconciles dysfunctional relationships like letting your wife act as your voluntary hostage whilst you wander around London in a suicide vest. And that was the Bodyguard finale, a big, explosive white-knuckle capper to a terrific series. Mercurio has given us one of the most talked about dramas in years and it’s justified hype: Bodyguard was gripping fare anchored by great performances by Keeley Hawes and, most importantly, Richard Madden. We were hooked, we were satisfied and we all got something to use as smalltalk for the best part of six weeks. Sure, nothing that went down in this finale matched our wildest expectations but that’s not Bodyguard’s fault and we need more of this kind of telly. 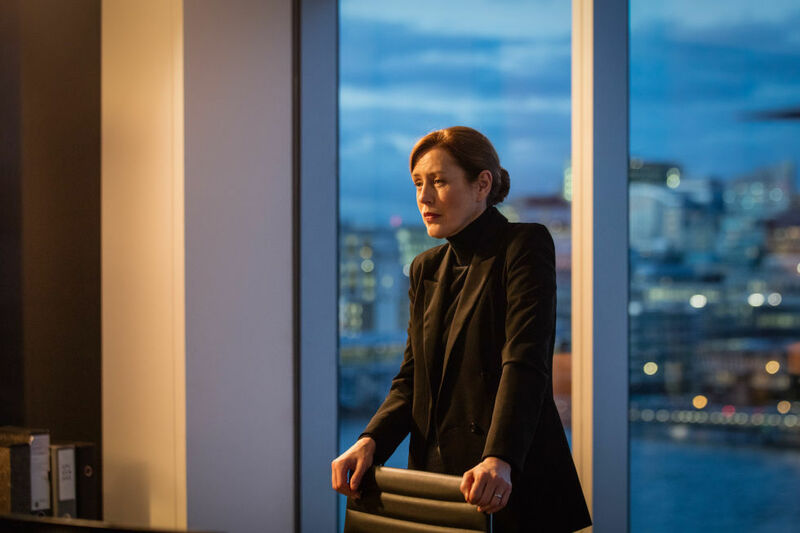 Addictive and thoughtful and willing to take bold creative risks, it’s no surprise Bodyguard captivated viewers, even if we’re all a bit sheepish because at the end of the day, Julia Montague still isn’t alive.